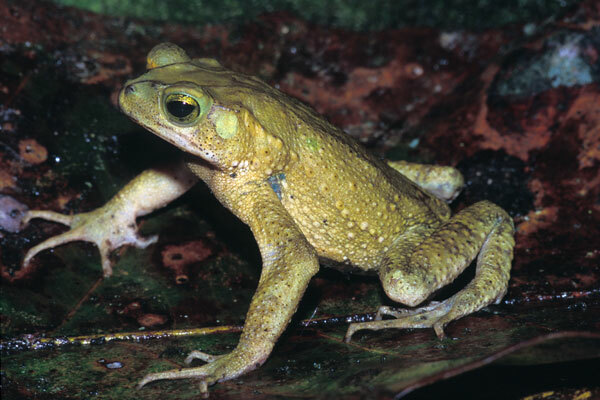 The genus Incilius was split from Bufo by Frost et al in 2006. 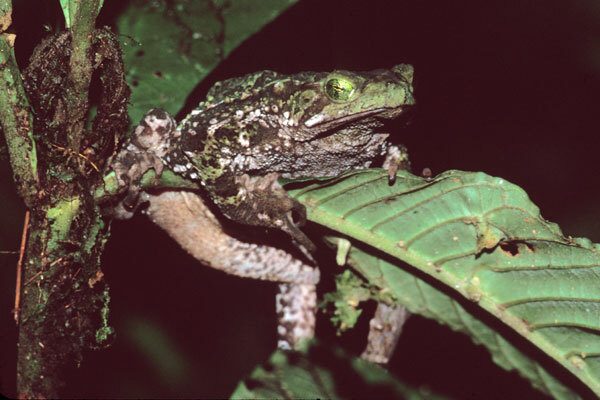 This split is particularly controversial among herpetologists, and many references still use the long-established Bufo. Also, Ollotis was used by some references between 2006 and 2009. One normally thinks of toads as ground-huggers, not tree climbers. This species is an excellent climber, however. The toad in this picture was about seven feet off the ground in a small thin-branched tree, resting in this awkward position. We found many of these toads calling in pools along the dirt road through the park. Fellow traveler Maria caught two of them to photograph the next day, and put them in a big plastic bag along with a pair of Masked Treefrogs. The four males kept up such a racket all night that Maria had to move the bag a long way from her cabin.